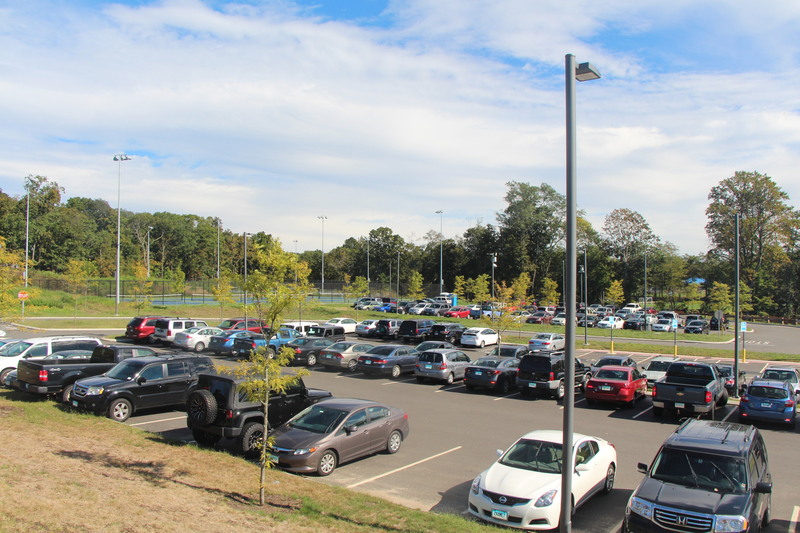 By Kyle Suraci, Liam Whelan | At the beginning of October at Morgan, most students who drove to school and parked in the parking lot received a notice. The notice stated that they needed a parking pass to park at the school. The parking passes cost $10, and students can get one in the main office, but many students don’t want to pay for parking passes . Senior Hunter Kyhn feels that they are unnecessary and that it is unfair that students have to pay for them when teachers do not. Junior Jillian Crowley had a similar response, she agreed with Hunter on how it is unfair that teachers don’t have to pay for parking. Crowley said that she believes the passes would be more efficient if each student had an assigned spot. This is because if a student was guaranteed the same spot each day, the student would be more willing to pay the $10. Junior Liam Trahant believes they are unnecessary, and he is very interested to know where the money goes. Gym teacher Peter Gersz said that it is fair that teachers don’t have to pay because for them it’s a necessity to drive to work every day, whereas students have the privilege to drive to school. If students don’t want to pay for the parking passes, then they can take the bus. Students dislike the parking passes but believe they are for a good cause. Assistant Principal Tyler Webb stated, “We have parking passes for a couple of reasons; the passes give us identification of who drives, a record of who leaves.” Mr. Webb also said that the parking passes would help with identification if there was an accident. Mr. Webb said, “The money from the passes then goes towards field trips for the classes.” The parking passes are for a good cause, they help keep students safe and fund field trips. If students don’t have a parking pass already, they can get one in the main office after filling out a sheet and paying $10. If students continue to park without a pass they will be towed.